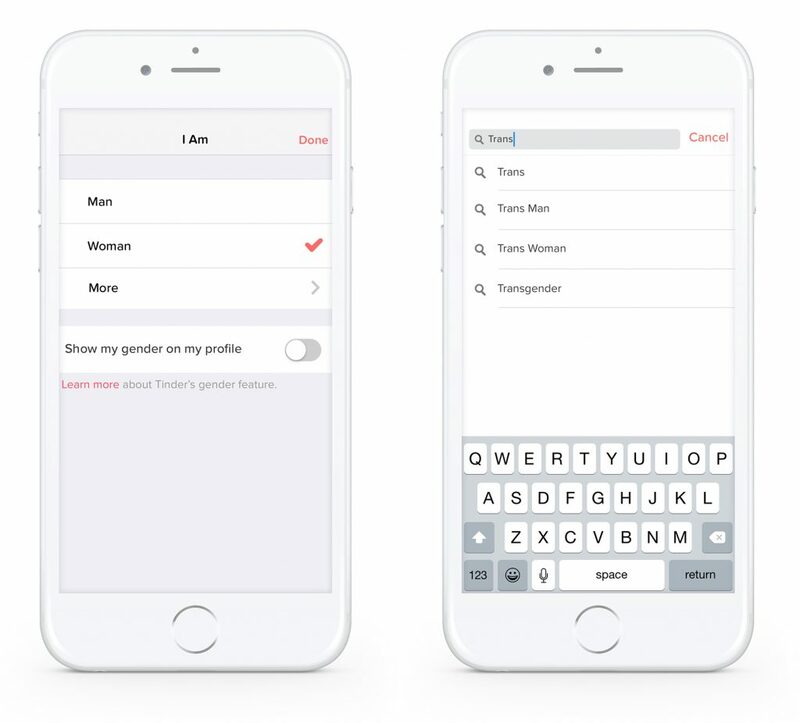 To edit or add more information about your gender on Tinder, simply edit your profile. When you tap “Gender” and select “More” you can type a word that describes your gender identity. You can also select to be shown in searches which best reflect your identity. All users also have the option to display their gender on their profile. If you believe you were ever wrongfully removed from Tinder because another user reported you unfairly due to your gender, send an email at questions@gotinder.com with a link to your Facebook profile, and the email address associated with your Tinder account (it’s the one you use to log in to Facebook).